An ongoing WebmasterWorld has a huge uptick in chatter around major ranking and search result fluctuation over the night. 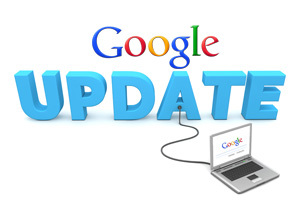 It seems from this and from all the complaints in the Google Webmaster Help forums that there is indeed some sort of update going on. Is it Penguin, Panda, EMD, page layout or something else - or is it a wide-spread manual action or Google going after and devaluing a major link network - I do not know. But it does seem something has happened causing tons of webmasters and SEOs to take to the forums to complain. This is fairly common days after I see an update brewing as I reported on Tuesday. It does seem like something is indeed rolling out and hopefully you guys benefited from it. SERPs.com, SERP metrics and MozCast have all shown higher than normal Google fluctuation activity over the past few days as well. Plus, as I said, there is a huge number of complaints from individual webmasters in the Google Webmaster Help forums. We have nothing to announce at this time. We make over 500 changes to our algorithms a year, so there will always be fluctuations in our rankings in addition to normal crawling and indexing. Update #2: On May 10, 2013 at 1:46pm EDT, Google's head of search spam, Matt Cutts said on twitter that this was not a Penguin update. So we can cross that off the list. @mrjamiedodd nope, no new Penguin update this week.